I started watching Merlin a couple of weeks ago and I love it. Really, so far I have not ceased to be amazed at the quality of television BBC has produced (though my only experience has been the old Chronicles of Narnia, 1995 Pride and Prejudice, Doctor Who, and now Merlin). 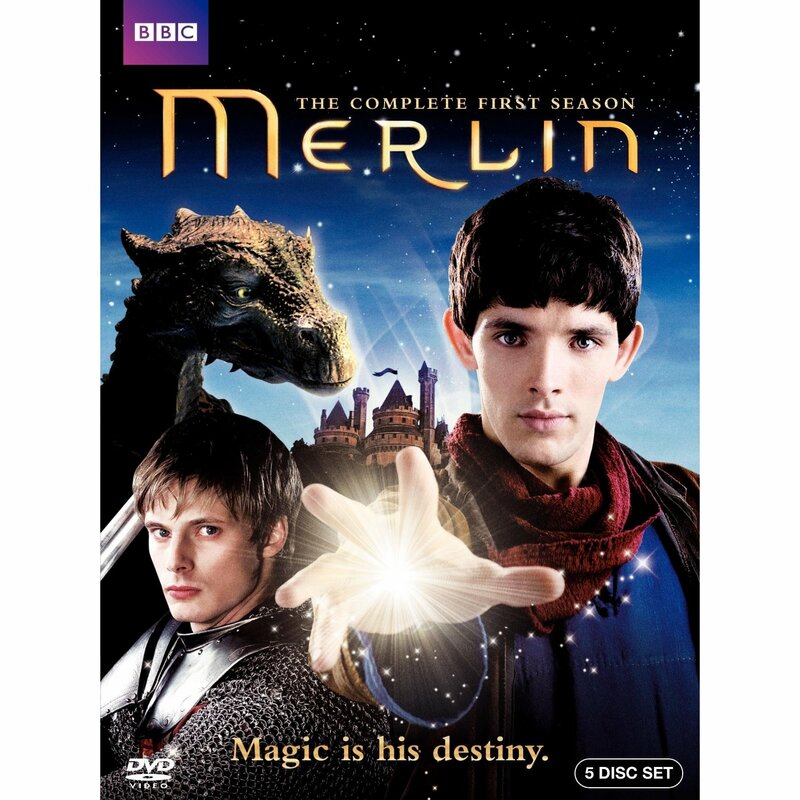 This show focuses on an adolescent Merlin and the events that lead up to the stories of King Arthur and the great wizard Merlin that we all know and love (at least, I hope so). I really love this take on these stories because I think it provides character development and stories to the characters we all know (King Uther, Arthur, Merlin, Morgana, Guinevere). Some of the myths (such as Excalibur) are put to use. We also see some more minor(ish) characters who appear for a short time and leave, providing back story to the well-known characters... and some delight for those of who would be disappointed not to see their favourite characters (AWESOME! We get to see LANCELOT, too?!) The adventures are exciting (though I'm not sure what's up with all of the creatures being gigantic and also usually looking like a dinosaur). There is a good amount of emotional moments...and a little dash of something that may turn into sweet romance. I get a little uncomfortable with the emphasizing of the importance of magic, but it's not too bad. Merlin always uses his magic for a good end (and, if not, he either gets reprimanded by his mentor/father-in-spirit Gaius or something bad happens). Other characters also have their moments when they choose good or evil, which I really like in a movie or TV show. So far, the show has been family friendly - at the moment, I am actually watching the episodes a second time with my sister (because this show is just so good). I love most of the episodes equally (episode 1 starts very well and is one of my favourites), but my absolute favourite episode of Merlin so far is is the season's finale, "Le Morte d'Arthur". Not only is it very exciting, I really love that Merlin stands up to some of his magical mentors who encourage him to use the wrong means for a good end. When that episode finished, I was literally sitting there in awe before I could get back to normal life. ;) So obviously, I am very excited to start series 2!